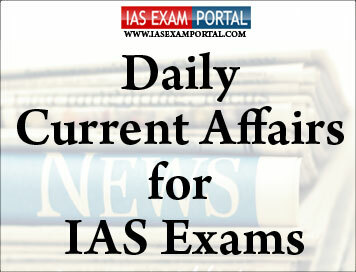 Current Affairs for IAS Exams - 13 September 2018 | IAS EXAM PORTAL - India's Largest Community for UPSC Exam Aspirants. A total of 25 States and Union Territories did not bother to respond even once, between November last year and August 2018, to repeated Supreme Court orders for information about the number of criminal cases pending against their MPs/MLAs and the setting up of special courts to exclusively try them. On Wednesday, the apex court took note of this long silence from the States and Union Territories about their respective legal battles against criminality and corruption in politics. Taking serious note of the lack of enthusiasm on the part of the States, the Supreme Court said it would monitor the compliance of its orders to form special courts to try MPs/MLAs and the functioning of these courts. The Bench directed the Chief Secretaries of the States and the Registrar Generals of the High Courts to provide the precise number of cases presently pending and required to be transferred to the special courts. The Bench also directed the two authorities to provide information on the functionality of 12 special courts which have already been set up in 11 States. It has also sought information on the volume of cases required to be transferred to the special courts and whether there is a need to set up more such courts. Indians have registered a 50% increase in the prevalence of ischemic heart disease and stroke over the period from 1990 to 2016, with the number of diabetes cases climbing from 26 million to 65 million. In the same period, the number of people ailing from chronic obstructive lung disease went up from 28 million to 55 million, according to the ‘India State-level Disease Burden Initiative’ report released on Wednesday. The report is a joint initiative of the Indian Council of Medical Research (ICMR), the Public Health Foundation of India (PHFI) and the Institute for Health Metrics and Evaluation (IHME) in collaboration with the Ministry of Health and Family Welfare, along with experts and stakeholders associated with over 100 Indian institutions. The State-wise disease burden showed that Punjab has been ranked at the top for the burden of ischemic heart disease, followed by Tamil Nadu, and vice-versa for diabetes. West Bengal topped with the largest number of stroke cases followed by Odisha, according to the comprehensive analysis of several major non-communicable diseases (NCDs). The papers showed that the proportional contribution of cancers to disease burden in India has doubled since 1990, but the incidence of individual cancers varies widely between the States, the reasons for which need to be understood better to guide prevention and control of cancer. Experts noted that the insights provided by these findings are very timely for the planning of Ayushman Bharat, the National Health Protection Mission announced recently by the Prime Minister. “ICMR is also working at creating a standard treatment workflow for Ayushman Bharat,’’ said Dr.Bhargava. The Centre has announced a Rs. 15,053 crore scheme to ensure that farmers growing oilseeds, pulses and copra actually get the minimum support prices (MSP) they are promised for their crops every year. The umbrella policy — PradhanMantriAnnadataAaySanrakshanAbhiyan (PM-AASHA) — was approved by the Cabinet Committee on Economic Affairs on Wednesday. The government announces minimum support prices for 23 crops every year. This year, these rates were set at 50% higher than the farmers’ production costs, including labour cost. The rates are meant to give remunerative prices to the farmers. About one-third of the harvest of the two major foodgrains, rice and wheat, are procured by the Centre at the MSP for sale in ration shops. However, most of the 21 other crops are sold at market prices, often below the MSP, as the government’s procurement operations are temporary. In 2017-18, the National Agricultural Cooperative Marketing Federation of India said it bought 31.9 lakh tonnes of pulses and oilseeds at the MSP, benefiting 20 lakh farmers. But the total production of pulses was estimated at 240 lakh tonnes, while oilseed production was 300 lakh tonnes. The price of ethanol derived from 100% sugarcane juice is raised from Rs. 47.13 to Rs. 59.13. The rate for ethanol produced from B-heavy — or intermediary — molasses has been raised to Rs. 52.43. The rate of ethanol produced from C-heavy molasses (which has no sugar left), however, has been marginally reduced to Rs. 43.46. “[This] is one of the best steps taken by the Government to achieve the dual objective of encouraging more production of ethanol as well as of reducing some of the surplus sugar. This price will compensate for the loss in revenue from the sugar sacrificed,” said AbinashVerma, director general, ISMA. The UN began work on Wednesday inside Myanmar’s violence-torn northern Rakhine State, the first time its agencies have been granted permission to operate there since more than 7,00,000 Rohingya Muslims fled the area last year. The UN has been waiting for access to the epicentre of the military’s “clearance operations” against the Rohingya minority since June when its refugee and development agencies signed a deal with the government. On Friday, specialists from the UNHCR and UNDP agencies were finally given permission to enter northern Rakhine before work began on Wednesday to assess local conditions. “The team is on the ground and commenced with the first assessments today,” said UNHCR spokeswoman Aoife McDonnell. This first step of the UN’s “confidence-building measures” is expected to take two weeks and will cover 23 villages and three additional clusters of hamlets. Also, Aung San SuuKyi will not be attending the UN General Assembly session in early October, the 7Day Daily reported, citing an official. Instead, two senior Ministers in her government, Kyaw Tint Swe and Kyaw Tin — who in the past defended Myanmar’s former military regime on the global stage — would attend and “explain current developments on repatriation and cooperation with international organisations”, the official, permanent secretary Myint Thu, was paraphrased as saying. Russian President Vladimir Putin suggested on Wednesday that Russia and Japan sign a peace treaty this year, ending Second World War hostilities “without any preconditions” as a territorial dispute has led to decades of deadlock. But Mr. Putin’s sudden proposal was received cooly in Japan, where a government spokesman said the two countries should first resolve the dispute before signing a peace deal. The dispute between Russia and Japan centres on four islands in the strategically-located Kuril chain which the Soviet Union occupied at the end of war in 1945 but are claimed by Japan. It has kept the two countries from signing a peace accord that would formally end their wartime hostilities. Kremlin spokesman Dmitry Peskov, speaking to reporters, described Mr. Putin’s proposal, made at an economic forum attended by Japanese Prime Minister Shinzo Abe and Chinese President Xi Jinpiang, as an impromptu idea and said the two leaders had not yet discussed it. Japan’s Chief Cabinet Secretary YoshihideSuga said a treaty with Russia would be signed “after resolving the issue of the attribution of the Four Northern Islands”, referring to the disputed territory. Suicide is the leading cause of death in the 15-39 years age group in India. Thirty-seven per cent of such deaths among women globally occur in India, and the suicide rate among the elderly has increased over the past quarter century. The data was released on Wednesday by the India State-level Disease Burden Initiative, a joint study of the Indian Council of Medical Research (ICMR) and other institutes, including the Public Health Foundation of India and the Institute for Health Metrics and Evaluation in collaboration with the Ministry of Health and Family Welfare. “India’s proportional contribution to global suicide deaths is high and increasing. Suicide Death Rate (SDR) in India is higher than expected for its socio-demographic index level, especially for women, with substantial variations in the magnitude and men-to-women ratio between the states,” the study noted. “The highest age-specific SDR among women in 2016 was for ages 15-29 years. Suicide was the leading cause of death in India in 2016 for those aged 15-39 years; 71.2% of the suicide deaths among women and 57.7% among men were in this age group,” the study said. Andhra Pradesh, Karnataka, Tamil Nadu, and Telangana, which are in the higher-middle and high epidemiological transition level groups, consistently had a higher SDR for both men and women. Hours after he was left out of the core group of players for the upcoming Asian Champions Trophy and the World Cup on Wednesday, former India captain Sardar Singh confirmed that he is all set to retire. Sardar, who was awarded the Rajiv Gandhi KhelRatna last year and is one of the most decorated stars of Indian hockey, will announce his retirement from internationals later this week, at a press conference here.